Varit på ett konvent eller meet? Släng in bilder, diskussioner och idéer hit! Alternativt, om någon vill posta bilder eller liknande, skulle gärna vilja se om någon lyckades få några bra bilder under outingen I Gamla Stan. 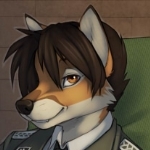 I just thought i'd post this thread here, in case anyone would like to post about their experiences during the past Furmeet, 2015-07-24 until 07-26, and maybe connect with other furs who were there, but that one was perhaps not able to catch the contact information of; Alternatively, post about how they feel the meet went. Alternatively, if people wish to post pictures and/or video recordings of any parts of the meet, i'd love to see them!